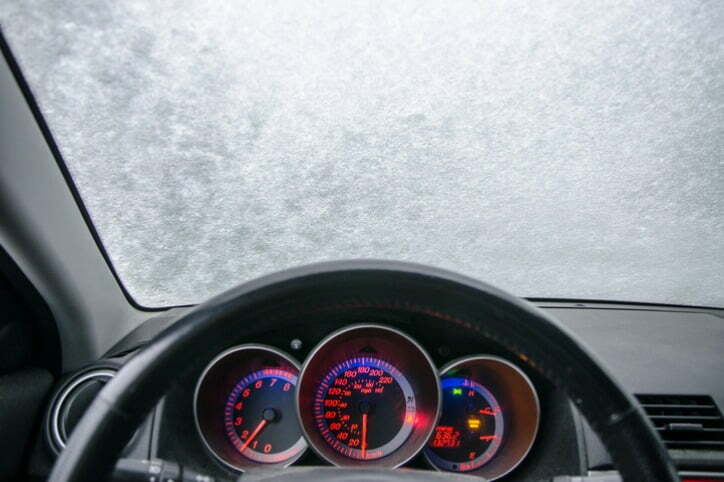 Even if the winter weather isn’t extreme, it can still increase the chances of damage to your windscreen. The glass is more likely to crack or chip in cold weather with all the frost, ice, rain and wind, and not to mention the road grit flying around. In this guide, we show you how to maintain your car’s windscreen – from replacing worn wiper blades to de-icing safely on frosty mornings. Use the links below to get the help you need. Although they’re often overlooked, windscreen wipers have one of the most important jobs to do during the winter – and keeping them in good condition will make winter driving easier. The rubber on wiper blades wears faster in the winter, so you’ll need to check them regularly. 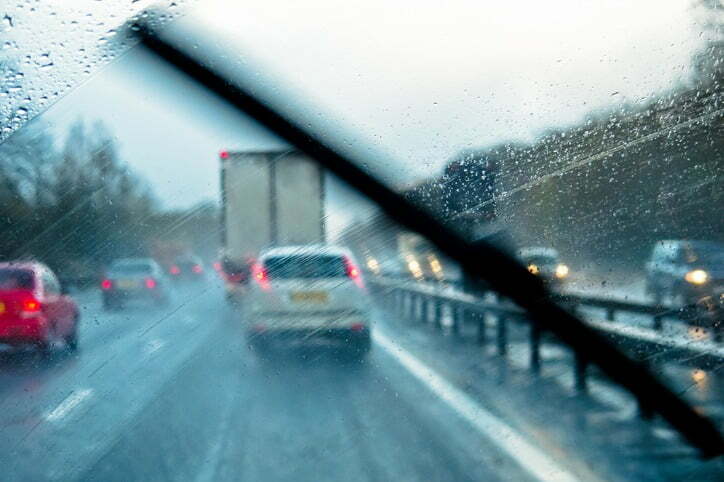 Having well-maintained wipers will improve your safety and make your driving experience better, but it’s also worth remembering that the police also take your visibility seriously. If they think the condition of your windscreen and wipers is causing you to drive dangerously or unsafely, you could get a £1,000 fine. Ideally, you should be changing your car’s wiper blades every year, or even more regularly if you do a lot of miles. Step 1: Lift the wiper arms up and off the windscreen so that they’re standing in their upright position. Be careful not to knock them, as they could spring back down and damage the windscreen. Step 2: Locate the catch on the wiper arm; this holds the blade in place, and you’ll need to press this in to release the wiper. Unhook the wiper blade and carefully bring it away from the windscreen. Step 3: Reverse the process above to fit the new wiper blade, and make sure the catch is securely clipped back in place. Then, you can carefully lower the wipers back down so that they meet the windscreen. You should always follow the manufacturer’s instructions, as well as your vehicle manual, when fitting new windscreen wipers. If you aren’t sure what type of wipers you need for your car, start with the vehicle handbook, as this will tell you the size and spec to go for. Many online car parts retailers now offer a registration checker, which lets you find parts by reg number. Always double check the handbook before ordering new wipers, though, as you can’t always trust online sellers to suggest the right kind of replacements. Another thing to note about buying wipers is to go for quality over price, as spending a little more will mean you don’t have to replace them as often, and they’ll work much better too. De-icing your windscreen doesn’t have to be a chore – and it’s absolutely something you need to do to get maximum visibility on dark winter mornings. 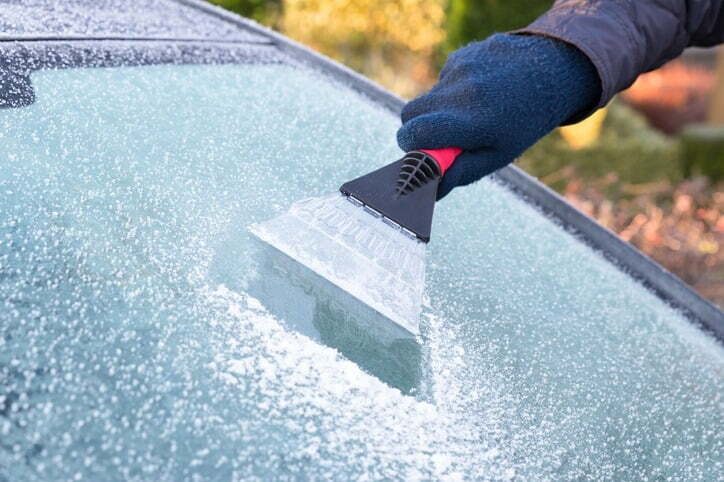 Never use hot water to de-ice your car’s windscreen – this guide shows you why. Score thick ice with a scraper before applying de-icer; this allows the product to penetrate the ice, making it easier to scrape off. Only use a purpose-built plastic ice scraper – using things like keys and credit cards will make it more likely that you’ll scratch the glass. Use a good quality de-icer. Prestone Rapid De-Icer melts ice down to -40°C and works really quickly, for extreme weather conditions. It prevents dangerous refreezing too, so you can get in the car and on the road quickly without worrying. Spray, salt, dirt, low winter sun and dazzle from wet roads can all reduce your visibility and make driving harder and more dangerous. But you can do a few simple things to make sure you can cope with even extreme conditions, and have a less stressful time in your car this winter. Use a high-quality, winter-ready screenwash to guarantee excellent cold weather performance. Prestone Max Visibility Screenwash melts ice down to -10°C and guarantees excellent visibility, so you can drive with confidence. If your windscreen suffers damage such as a small crack or chip, make sure you get it repaired straight away or it could get worse in cold weather. Read our guide on what to do if your windscreen is damaged for more useful tips and suggestions. Lift up the wiper blades each evening to stop them from freezing on to the glass, which can cause damage. 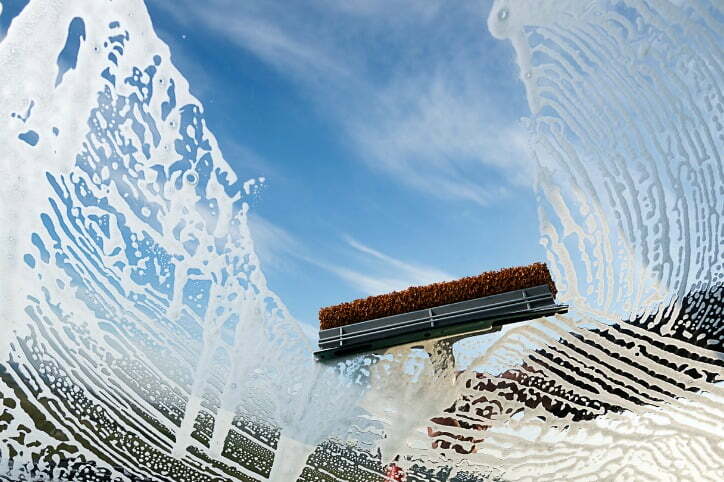 Clean the inside of the windscreen regularly to remove dirt, haze and ‘film’. Condensation will gradually cause a film to build-up on the inside of the glass, reducing your visibility and causing dangerous sun dazzle. Clean your car regularly. You might not feel like going out with a bucket and sponge, and it may feel pointless if wet weather is forecast, but a clean car means better all-round visibility and will also help protect the paintwork. Prestone car maintenance products are designed for all extremes, so you can be sure they offer the very best performance for your car. For more information or to browse our product range, visit the homepage today.